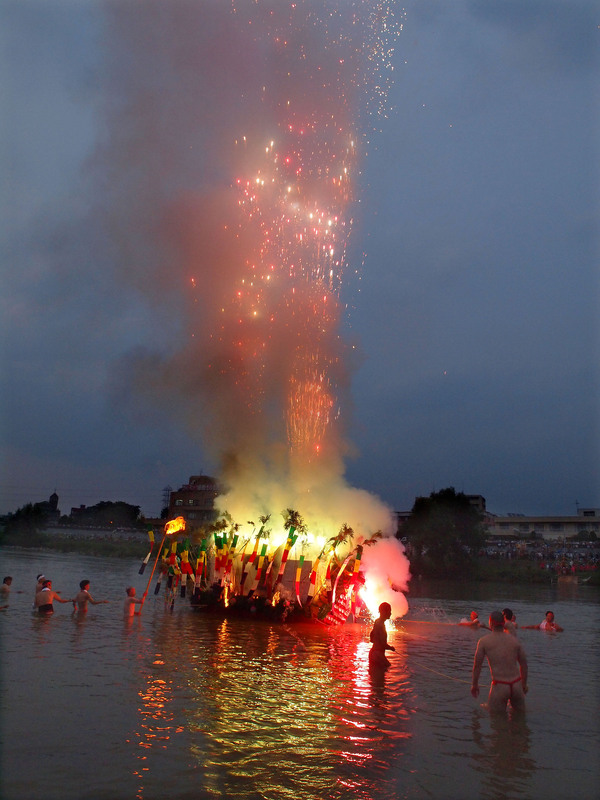 loincloth, fireworks from the boat. 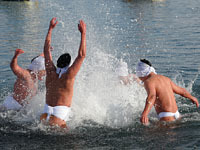 wearing white loincloth, splaying water to the sky. 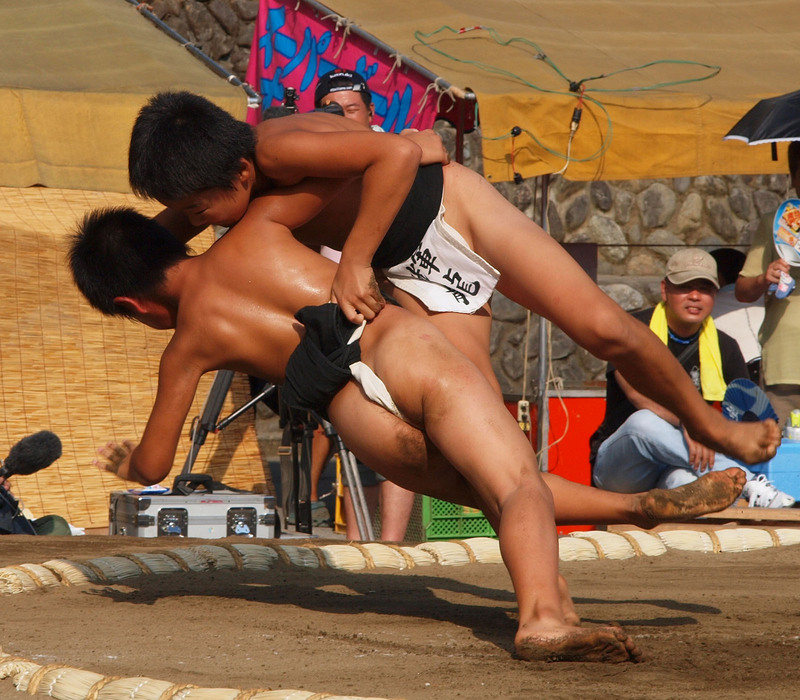 The shadows facing each other, also wrestling sumo. 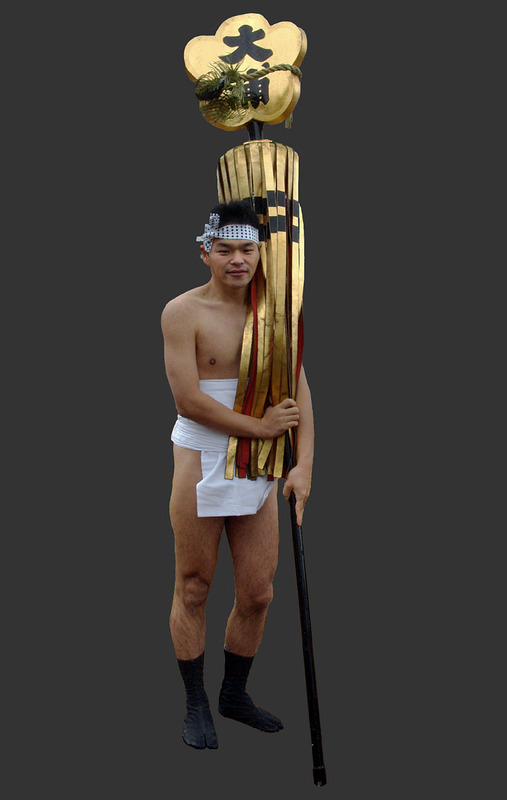 Festival fan, holding up the Sannho mikoshi. 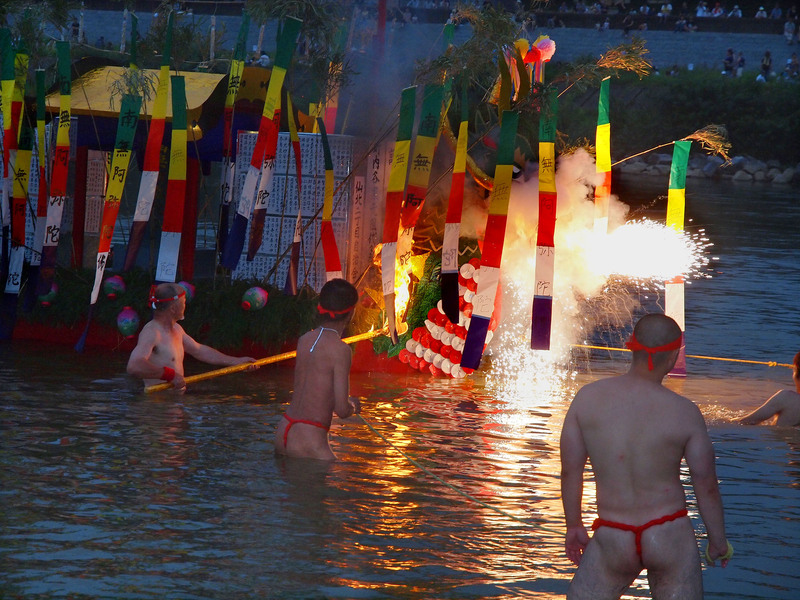 Senboku guys of red fundoshi loincloth, fireworks from the boat. 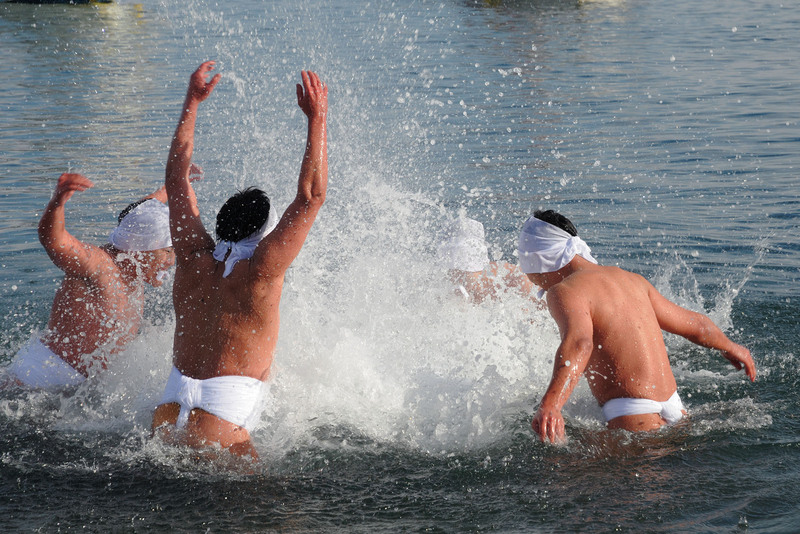 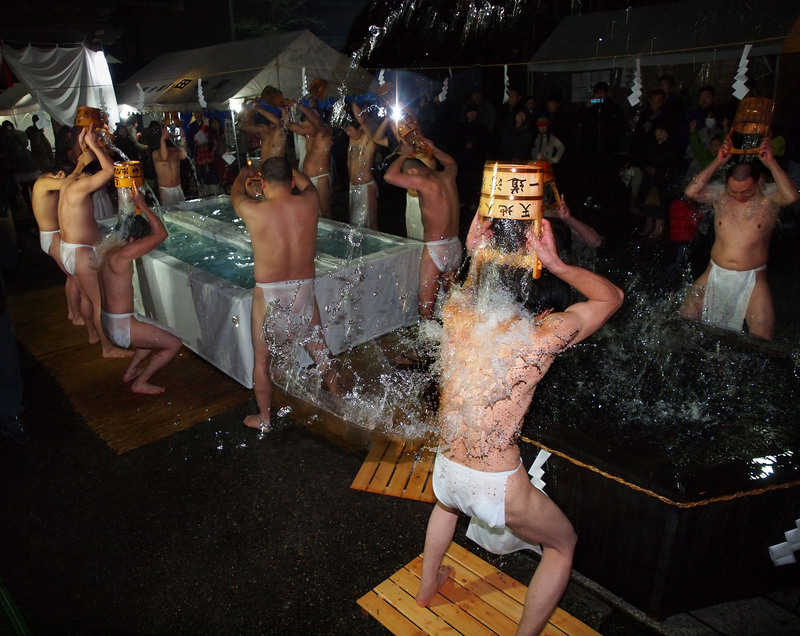 Fired up for winter solstice ablution wearing white fundoshi loincloth. 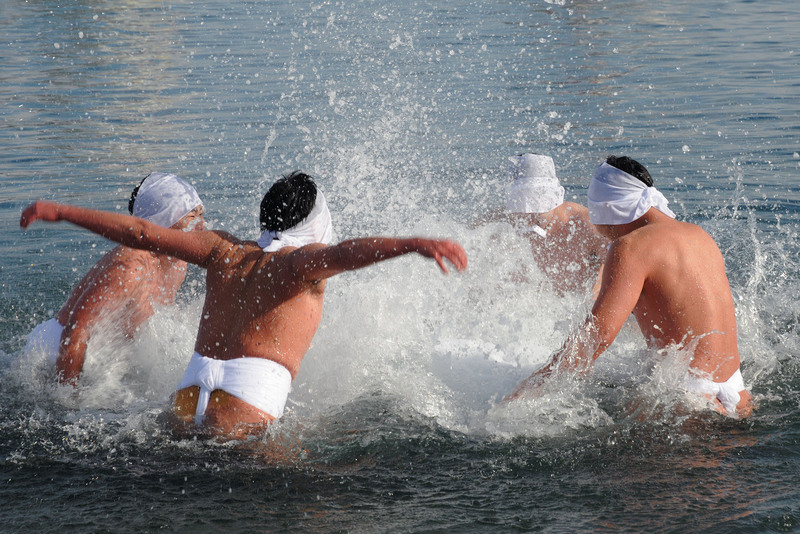 Winter water ablutions, white of the loincloths of four ascetics. 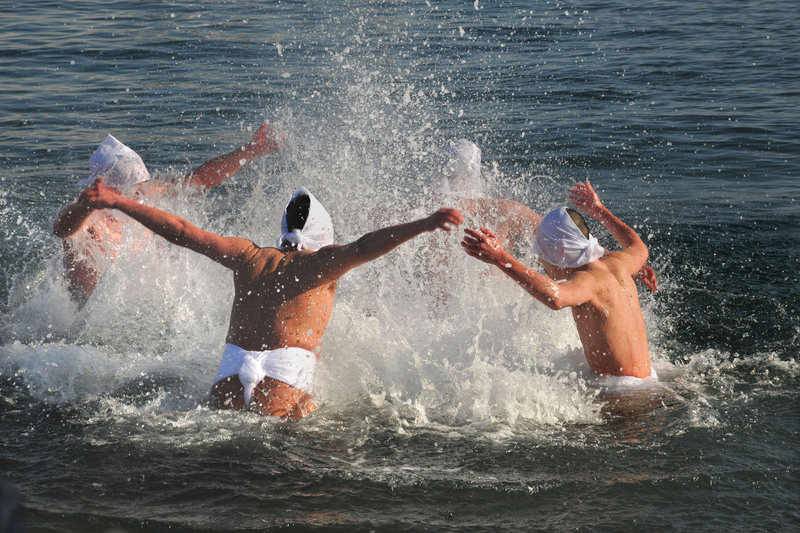 Snowy loincloths, ablutions with various deities at sea. 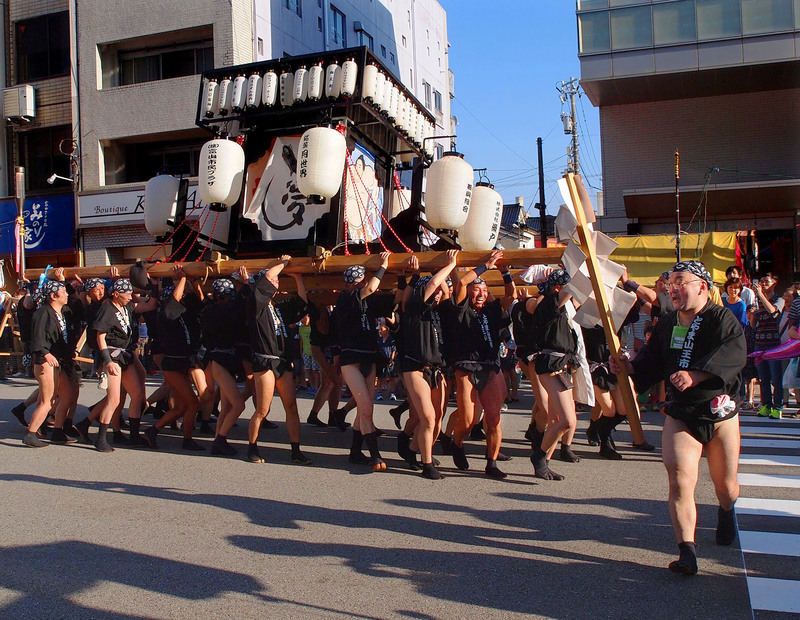 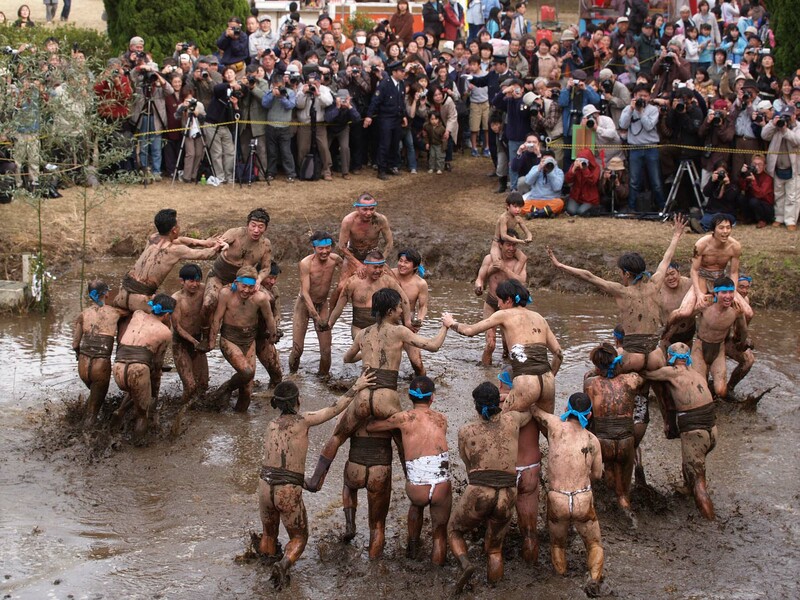 Children also wearing fundoshi loincloth for adalts. 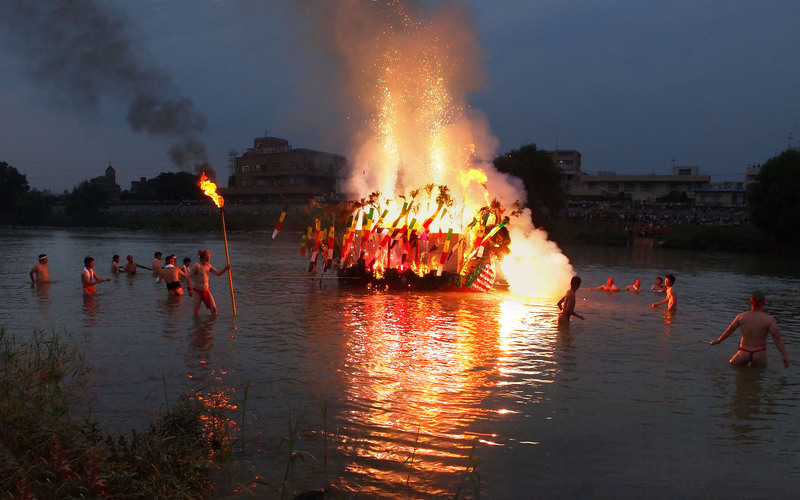 Nagara River, December for the purification ritual. 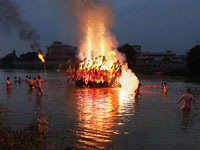 Exorcism, Steam rising from men of loincloth. 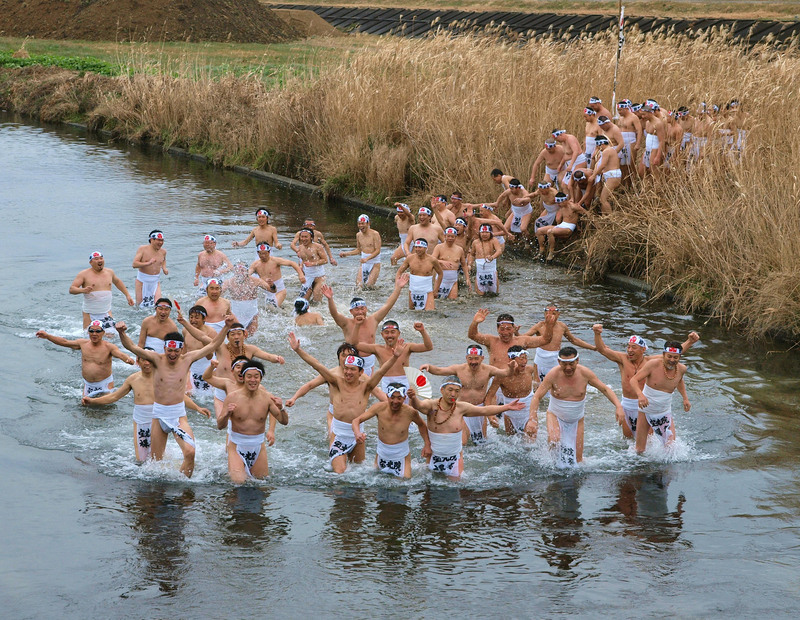 A celebration for spring, River crossing with white loincloth.